Kennebunk Slat Bed and Dimarzio Bench. Shown in cherry. Kennebunk Slat Bed. Shown in cherry with Dimarzio Bench. 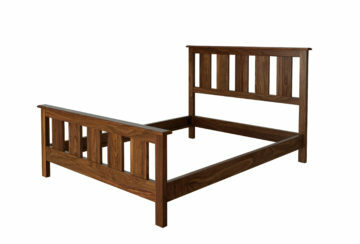 Kennebunk Slat Bed, rendered in walnut. 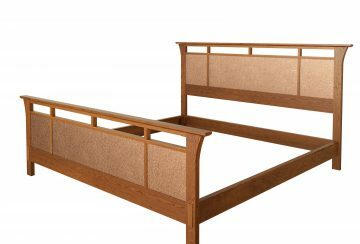 The Kennebunk Slat Bed is a classic, perfect for any home or summer cottage. A simple design with the distinctive detail of the grooved panels.